The last thing you want to worry about at 4am is having your parking lots and sidewalks cleared before your business opens or your tenants need to leave for work. At Extraordinaire Fence Company, we’ll do it for you! We offer complete commercial snow removal services to include plowing, skid loader, hauling, sanding, salting and snow blowing. We’re fast, efficient, thorough and affordable. Our employees do a first-rate job of protecting your property and will work around the clock to keep you, your customers and employees safe and on the move. commercial customers trust Extraordinaire Fence Company! Call us today for more information. Contact us during normal business hours at 605-929-0909 or email us at extraordinairefence@gmail.com concerning commercial snow removal. We’re located at 4940 N National Ave in Sioux Falls. 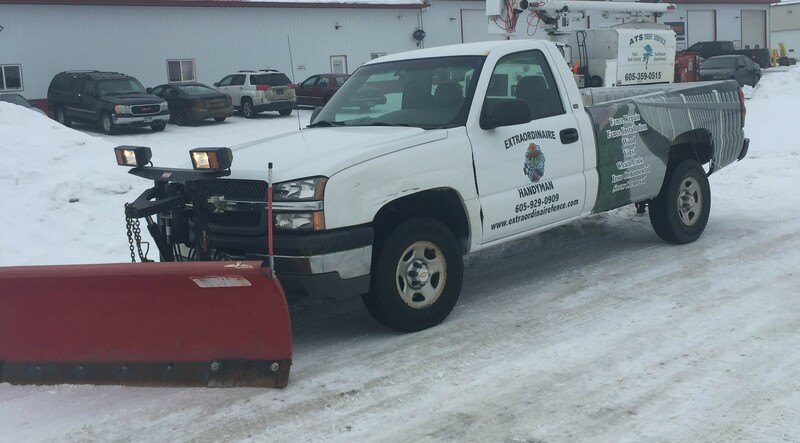 Contact us during normal business hours at 605-929-0909 or email us at extraordinairefence@gmail.com concerningsnow removal. We’re located at 4940 N National Ave in Sioux Falls.